Presented by Kevin McCloud, Grand Designs Abroad, premiering Saturday, August 23rd at 7:30pm on 3, follows self builders as they create their dream homes in amazing landscapes across Europe, including Spain, Italy, France and Ireland. 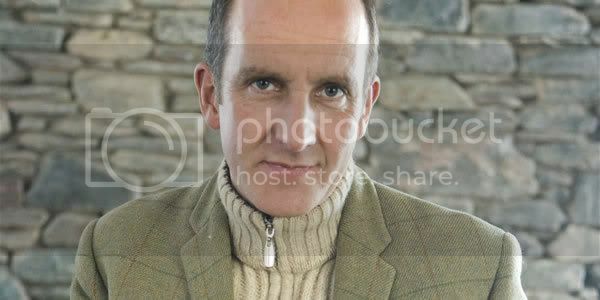 Kevin McCloud is the design expert, writer and presenter of the series. With a family background in engineering, a degree in the history of art and architecture and experience as a theatre designer, he brings many different perspectives to Grand Designs Abroad. Grand Designs Abroad charts the in-depth process of ambitious design projects, from the initial intricacies of blueprints to the long and often arduous task of turning those designs into a practical living space. The series discovers how ambitious and difficult design concepts work out in practice. Follow the progress of houses with unforeseen complications and no stretch in the budget. Explore the design detail, and chart the changes and compromises that happen along the way. With budgets usually pushed way beyond their limits and time ticking away, Grand Designs Abroad gives viewers a unique opportunity to discover how ambitious design concepts work in practice and depict the hard realities of creating a dream home abroad. In this week’s season premiere entitle “Olive Farm Into A Roman-Style Country Estate, Puglia, Italy” McCloud follows a couple of artists who have moved to the beautiful and undiscovered region of Italy called Puglia. Their dream is to turn a derelict olive farm into a home, and a luxurious summer school for artists, but their budget has been reduced to just £16,000. They have no choice but to build it entirely by themselves, and they’ve never built a house before. The show follows their, and the building’s, progress through the doubts, delays, frustrations and challenges of building a Grand Design abroad. Grand Designs Abroad premieres Saturday August 23rd at 7:30pm on 3.